In what will be a major blow for Barcelona, it’s reported that Samuel Umtiti may have no option but to undergo surgery on his troublesome knee. The 25-year-old has been limited to just eight appearances so far this season, missing nine games due to recurring issues with his knee. 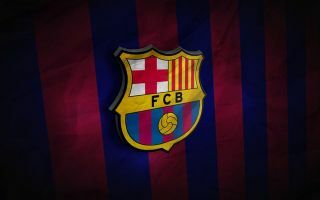 Having made his comeback against Atletico Madrid last weekend, he was forced to sit out the clash with PSV Eindhoven in the Champions League in midweek with the same problem, and it could now lead to a very difficult decision for Barcelona. According to Sport, it is becoming increasingly likely that Umtiti will have to undergo surgery to sort out the problem once and for all, as the decision to limit it to treatment evidently hasn’t solved the issue. It’s suggested that the French international isn’t keen on the idea as it could force him to miss a significant part of the campaign. Nevertheless, based on his troubles to this point, it seems that’s a risk regardless as he continues to struggle to feature prominently. In turn, it’s going to be a massive blow for him personally if he does have to have a procedure, but equally for Barcelona and coach Ernesto Valverde, it could be very damaging. With only Gerard Pique and Clement Lenglet as his reliable and natural options in the heart of the defence, that leaves Barcelona dangerously light as they look to compete on multiple fronts this season. With that in mind, Sport also suggest that a decision will be made imminently on whether or not Umtiti will undergo surgery, as ultimately that will then make their decision for them to bring in a reinforcement in the January transfer window to fill the void. A short-term solution would seem like the most logical thing to consider, with Umtiti hoping to return and put the problem behind him while the summer could offer better long-term options.